The Suite of Persian Pleasantries. a Persian form of civility emphasizing both self-deference and social rank. The term encompasses a range of social behaviours, from a man displaying etiquette by opening the door for a woman, to a group of colleagues standing on ceremony in front of a door that can permit the entry of only one at time, earnestly imploring the most senior to break the deadlock. The prevalence of t’aarof often gives rise to different styles of negotiation than one would see in a European or North American culture. For example, a worker negotiating a salary might begin with a eulogy of the employer, followed by a lengthy bargaining session consisting entirely of indirect, polite language — both parties are expected to understand the implied topic of discussion. It is quite common for an Iranian worker (even one employed in an Iranian neighborhood within Europe) to work unpaid for a week or two before the issue of wages is finally broached. Likewise, a shopkeeper may initially refuse to quote a price for an item, suggesting that it is worthless (“gh’aabel nadaareh”). T’aarof obliges the customer to insist on paying, possibly several times, before a shopkeeper finally quotes a price and real negotiation can begin. I was stupefied that I’d never heard of this social practice, one whose structure was so elaborate, and whose presence was so intrinsic to Iranian reality, as seen above. I reached out Dr. Michael C. Hillman, a professor of Middle Eastern languages and cultures at the University of Texas at Austin, and author of the book, Iranian Culture: A Persianist View, in order to help me understand this cultural quality. Michael Hillman is a guest, today, on this repeat broadcast of my WBAI-NY / 99.5 FM radio show, NONFICTION, this afternoon, Friday, November 28, at 2 pm ET. Then, Isaac Dolom, of the late, great, much-lamented Dailysonic podcast—they ceased production in November 2006—takes a trippy look into the microscopic makeup of ordinary sounds. For example, what would a human heartbeat sound like if sped up a thousand times? (Something like a machine, it turns out.) Not to be missed, never to be forgotten. You can hear their ideas by tuning in at 2 pm. If you’re outside of the New York tri-state, you can check out our stream on the web. 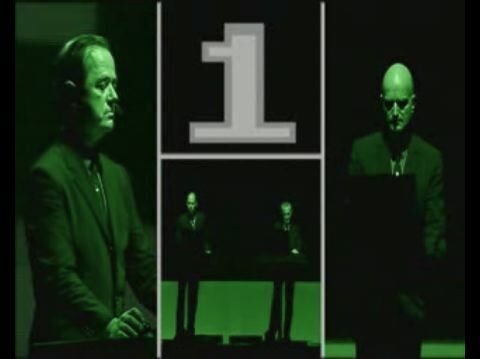 If you miss the live show, dig up our archive for up to 90 days after broadcast. Thanks to the wayward nation of Australia for doing what no U.S. media, in their white, self-congratulatory, post-election euphoria, have yet done, save C-SPAN and Bill Moyers Journal: In this clip from the Aussie news show, Lateline, Dr. Ron Walters, director of the University of Maryland’s African American Leadership Center, and a key strategist with both of Jesse Jackson’s presidential campaigns, talks at length about the role of race in the Obama campaign, and specifically on the president-elect’s “race-neutral” modus operandi. Grand Prize winner in Virgin Media Shorts‘ 2008 competition, The Black Hole was directed by West Londoners Phil Sampson and Olly Williams of Diamond Dogs. 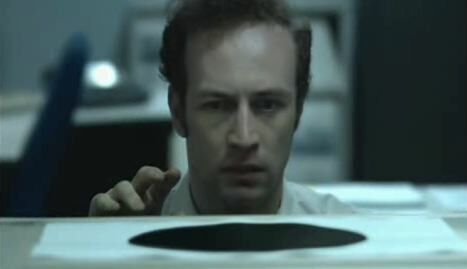 A perfectly crafted brief, it tells the story of a bleary-eyed night office worker (Napoleon Ryan), above, who discovers a portal—a shortcut through matter—that gives him an awesome new power…until he starts to abuse it. Let this be a lesson to you, viewers. 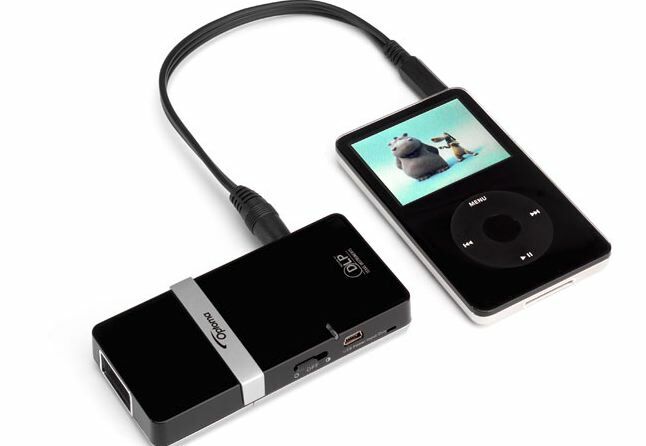 Smaller than most smart phones, this new micro-portable projector fits in your palm and is the ideal companion to ultra-portable media devices such as iPods®, PDA’s, smart phones and digital cameras. 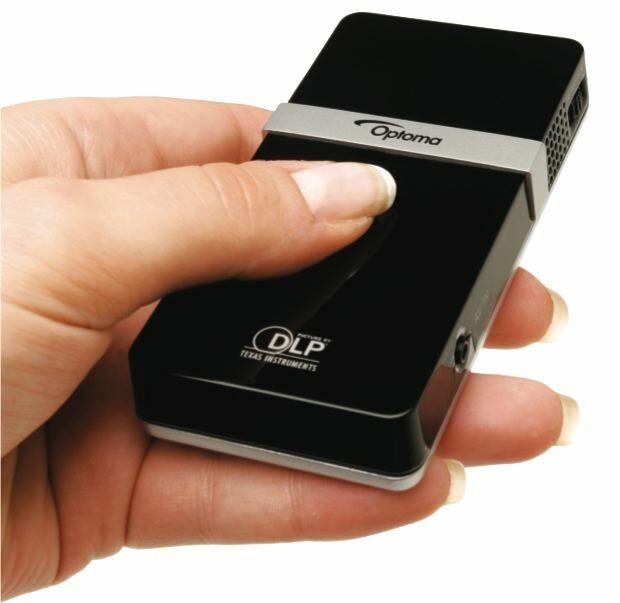 When connected to an ultra-mobile device, the four-ounce Optoma Pico Projector allows users to share photos and videos, and enjoy a far better visual experience with an image that is up to 100 times larger than the small screen of the source device. Started in 1756 as an optics manufacturer, the German company Voigtländer didn’t even make its first metal camera until nearly a huindred years later, in 1849. Their devices quickly acquired a global reputation for astoundingly sharp images, though, courtesy of the firm’s revolutionary Petzval lenses. Over the decades, Voigtländer created a number of technically innovative products, like their 1965 Vitrona, the first 35mm compact camera with a built-in electronic flash. 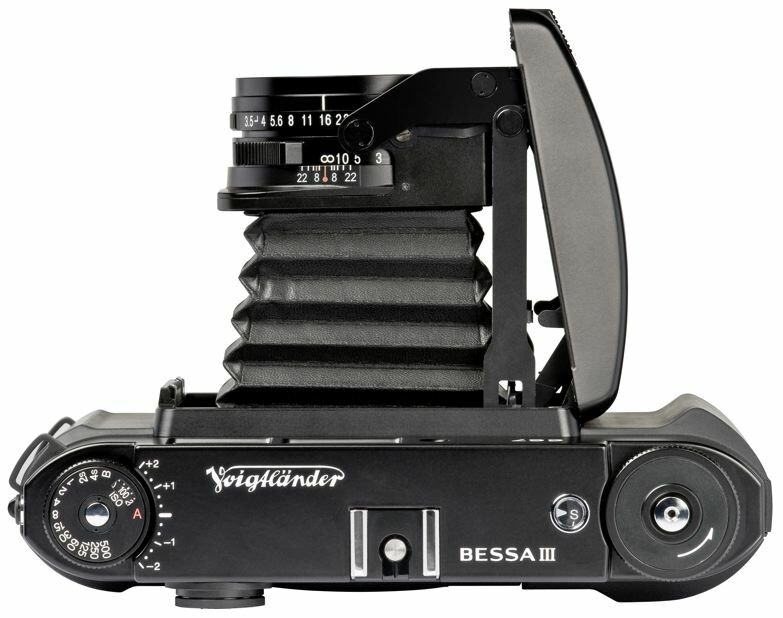 The post-World War II mega-dominance of the photography biz by Japanese camera manufacturers, however, ultimately led to their demise and to Cosina’s 1999 acquisition of the Voigtländer name. 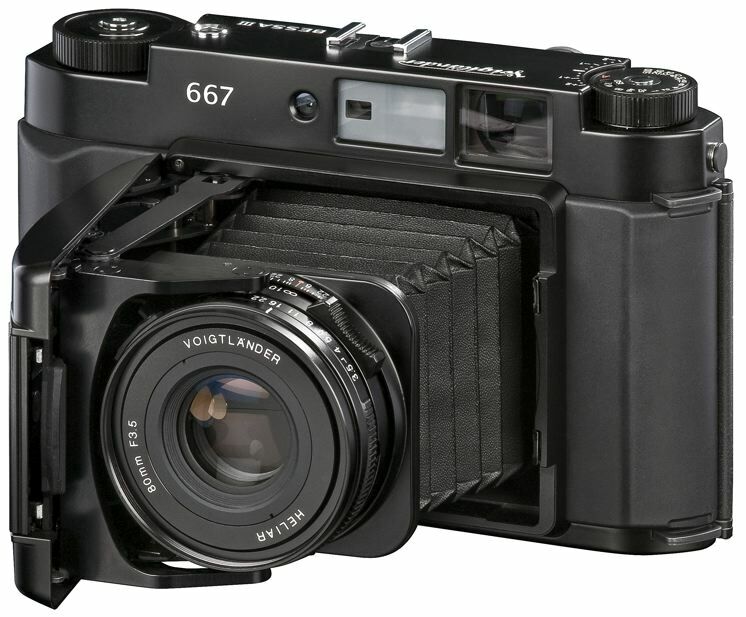 In the nearly ten years since, though, Cosina’s produced several solid-body, Leica screw mount film cameras under Voigtländer’s famed marque. Now, it looks like they’re truly feeling their royal oats, having recently announced the upcoming 2009 release of the Voigtländer Bessa III, above and right. Questions like, why do so many people in a hospital die, not from their ailments, but from infections acquired at the medical facility? 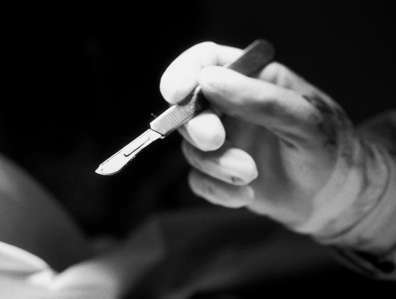 Or, how does one measure excellence as a physician, when the currency is human life? Dr. Gawande is the guest on this repeat edition of my WBAI-NY / 99.5 FM radio show, NONFICTION, this afternoon, Friday, November 21, at 2 pm ET. You can hear his ideas by tuning in at 2 pm. If you’re outside of the New York tri-state, you can check out our stream on the web. If you miss the live show, check out our archive for up to 90 days after broadcast. Ramping Up For the Kill. 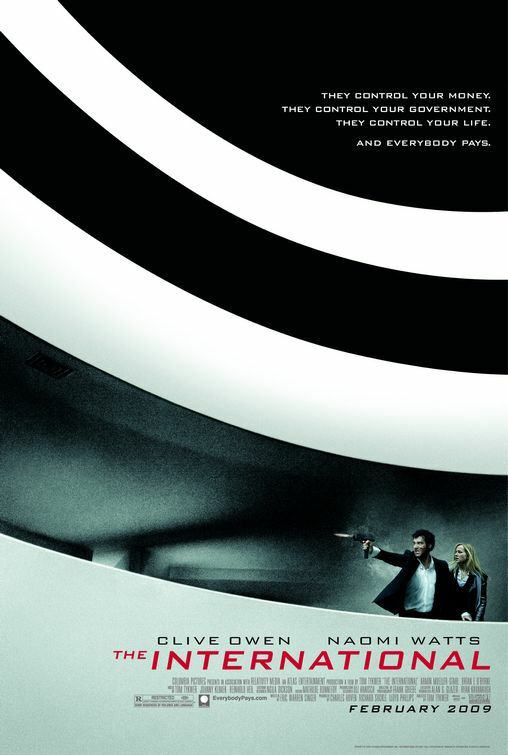 Total hotness from Ignition Print, on the Feb 2009 Clive Owens / Naomi Watts thriller, The International, using the sloped interior of the Frank Lloyd Wright-designed Guggenheim Museum as an eye-ripping design element. Did anybody notice the way The Oprah Winfrey Show rewrote history yesterday? Brad Pitt was the guest, along with Cate Blanchett, in Chicago to promote their new David Fincher project, The Curious Case of Benjamin Button, out Christmas. At one point, a pre-produced package talked about Brad’s career, beginning with his arrival in Hollywood, and his breakthrough roles in Thelma & Louise and Interview with the Vampire, before moving on to George Clooney, Brad’s life with Angelina Jolie, their kids, etc. It was brief, compact, fast-moving, and entertaining. It was also untrue. Completely absent from the piece was any mention, whatsoever, of Jennifer Aniston, the actor with whom Pitt was a couple for seven years and married to for five years; 2000-2005.